Over the past decade, India has emerged as one of the biggest and most competitive destinations for Foreign Direct Investments (FDI). Earlier, India was mostly regarded as a developing country. However, now it is seen as a strategic location for conducting profitable international business. Toeing the Prime Minister Modiâ€™s vision of â€˜Make in Indiaâ€™ into reality, the Government of India and Ministry of Commerce and Industry has allowed 100 percent FDI in manufacture of medical devices under the automatic route. Currently, investment in Greenfield pharmaceutical projects is permitted fully without government intervention. 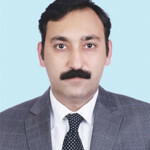 However, though 100 percent FDI is permitted in Brownfield pharmaceutical entities/projects, it is subject to the government approval route and additional conditions imposed thereon. Since medical devices are part of the Drugs & Cosmetics Act, 1940 and fall under the Pharmaceutical sector, all the conditions of the FDI policy on the sector, including the condition relating to â€˜non-compete clauseâ€™, apply on Brownfield investment proposals of medical devices industry. As per National Industrial Classification (NIC) Code 2008, sector code of â€˜Manufacture of pharmaceuticals, medicinal chemical and botanical productsâ€™ is 2100 while sector code of â€˜Manufacture of medical and dental instruments and suppliesâ€™ is 3250. Medical devices will fall under the category of â€˜medical and dental instruments and suppliesâ€™. Therefore, drugs and pharmaceuticals and medical devices are two different industrial activities. The condition of â€˜non-competeâ€™ was imposed so that the Indian manufacturers can continue manufacturing generic drugs and catering to the needs of the large number of people in the country and in other developing countries who cannot afford branded and patented drugs. This condition is not relevant to â€˜medical devicesâ€™ industry of the country where the country is substantially import dependent and the sector is adversely impacted because of the lack of adequate capital and required technology. Therefore, the Cabinet approved the following proposal to amend the relevant paragraphs of the extant FDI policy as contained in the consolidated. 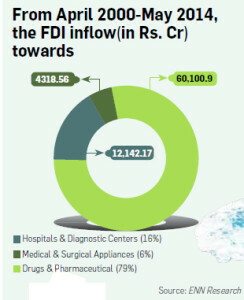 â€¢ FDI up to 100 percent, under the automatic route is permitted for manufacturing of medical devices. The above mentioned conditions will, therefore, not be applicable to Greenfield as well as Brownfield projects of this industry. The definition of medical device at Note (2) above would be subject to the amendment in Drugs and Cosmetics Act. 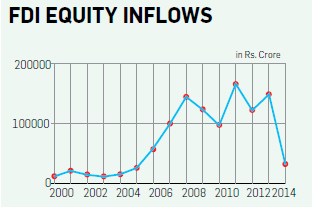 Between April 2000 and May 2014, the Medical and surgical sector recieved investments of `4,318.56 Crore versus Drugs and Pharmaceutical that recieved inflows of `60,100.90 Crore in the same period. 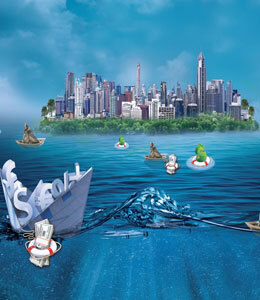 What does 100 percent FDI mean for the industry? No doubt this will boost the investments in new manufacturing units, less red tape, and potentially more transfer of technology. MNCs will no longer have to go to the Foreign Investment Promotion Board (FIPB) for permissions – they had to till now, which was a time-taking affair. No wonder, between April 2000 and May 2014, the Medical and Surgical sector received investments of `4,318.56 crore versus Drugs and Pharmaceutical that received inflows of `60,100.90 crore in the same period. Albeit the Ministry has taken a praiseworthy step to promote manufacture of the medical devices in India, but permitting 100 percent FDI is just a start. As the definition of medical devices under the DCA amendment bill has finally passed, it may differ from the definition provided by the Ministry. This may impact adversely any proposed investment or further investments to be made in this field. Also, making medical devices in India would require a lot more. India does not have the component ecosystem – manufacturing a pacemaker, for instance, would require design, metals, software, lithium battery, an electronic circuitry and electrodes among other components. India may still need to import the electronic circuitry. Importing too many components would pressurize a companyâ€™s operating margins and the end-user, hospitals and in turn patients – would perhaps end up paying more. So the government, as a second step to 100 percent FDI, may need to think of a cluster approach where component manufacturers and other ancillary companies get economies of scale. On the other hand the basic duty on imported medical devices is 0-5 percent with nil SAD compared to 10Â percent basic import duty, plus 4 percent SAD on inputs. This results in significant price differential between indigenously manufactured goods and imports, leading to commercial nonviability of most domestically manufactured devices. To promote indigenous manufacturing and to accomplish Prime Minister Modiâ€™s vision of â€˜Make in Indiaâ€™, major impediments such as irrational tax structure need to be removed by withdrawing all concessional duty notifications on basic duty and SAD. Unless tax anomalies are removed, manufacturing of medical devices in India will not really take off, with or without FDI. â€œThe government has done the right thing to allow 100 percent FDI in the medical device sector through the automatic route. This would encourage companies to invest in India and make the Indian plants a hub for catering to the global demand. The economies of scale would lead to the reduction in cost of manufacturing and lead to us being competitive in making quality medical devices. 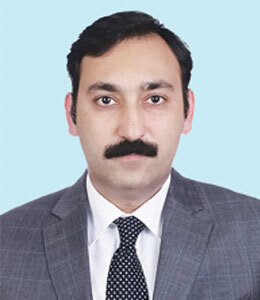 Reducing the tariff barrier on the import of raw material inputs for the production of medicalÂ devices in India and providing incentives for Made in India products in the public procurement can work favourably for the sector,â€ said Varun Khanna, Managing Director, BD India. â€œNew initiative taken by the Indian Government will definitely give positive boost to investments and economic activities in India. In current scenario, as per various estimates over 70 percent of the medical devices i.e. about USD 7 billion are imported from foreign countries. This initiative will encourage the local manufacturing for the global medical device companies, which proportionally increase the investment from abroad in healthcare and diagnostic segment and will yield higher Foreign Direct Exchange (FDI). In our country many sufferers of renal failure remain untreated due to low paying power and affordability. This initiative will help reduce the import charges, which will indirectly lower the treatment cost and ultimately have a positive impact on the life of the patients. Medical devices sector in India is poised to grow significantly owing to infrastructure getting better and it will boost further with ample government support in terms of policy and regulation. 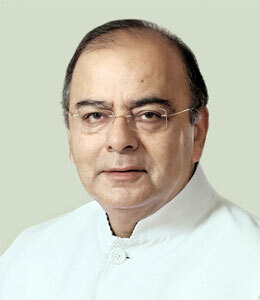 However, 100 percent FDI is one part of the reform. At the same time further reforms in licensing, infrastructure and location feasibility would be needed for better outcomes. 100 percent FDI will be a quantum leap for benefiting Indian patients and increasing Foreign Direct Exchange,â€ said Dhruv Chaturvedi, Managing Director, Fresenius Medical Care India.